The magazine’s Berta Greenwald Ledecky Undergraduate Fellows for the 2017-2018 academic year will be Natasha Lasky ’19 and Tawanda Mulalu ’20. 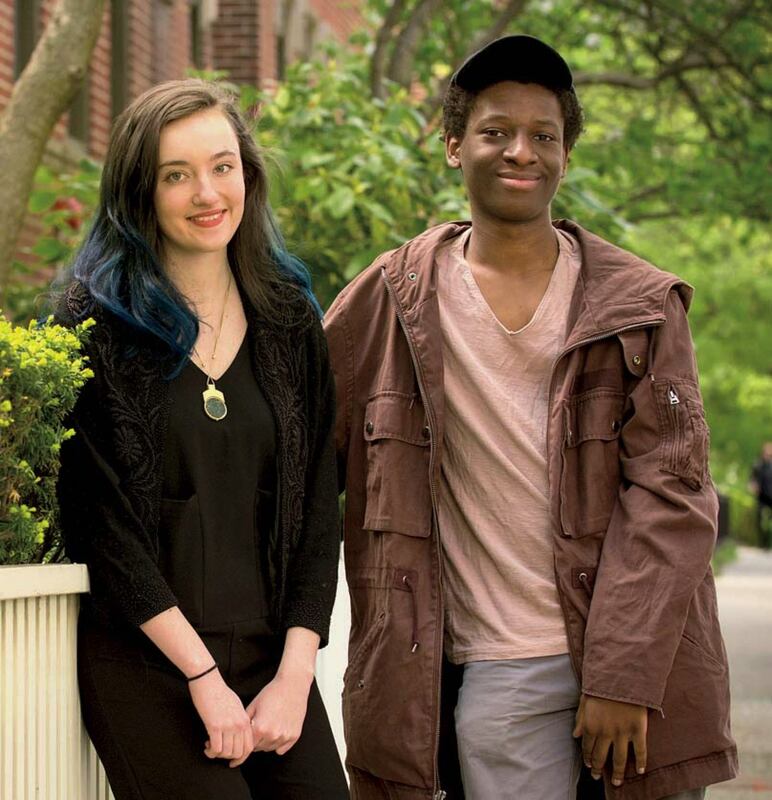 The fellows join the editorial staff and contribute to the magazine during the year, writing the “Undergraduate” column and reporting for both the print publication and harvardmagazine.com, among other responsibilities. Lasky, of Menlo Park, California, and Lowell House, is a junior concentrating in history and literature, with a secondary in visual and environmental studies; she has written, directed, produced, and edited several short films. Her extracurricular commitments include serving as features editor at The Harvard Advocate, DJ-ing for WHRB, and tutoring at the Harvard College Writing Center. This past summer she improved her Spanish language skills and studied Argentine literature in Buenos Aires.